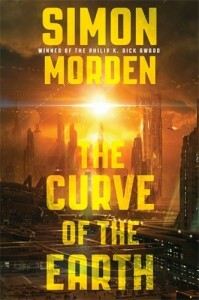 My review of Simon Morden’s The Curve of the Earth is now online at Arcfinity. I quite enjoyed the first three novels, but this was a bit disappointing – though I’m still hoping the later volumes could bring a return to form and I still want to find out what Morden has in store for Samuil Petrovich. But, hey, don’t let me spoil your “fun”. Go on over and read the full thing, and maybe stay and read some of the other things on that lovely website. This entry was posted in Journalism, Other reviews and tagged 2013, Arcfinity, books, review, reviews, sf. Bookmark the permalink.